Shane Lowry has seen his odds plummet in the antepost golf markets and has even been backed to win a major after he set down an early marker at the weekend. The Offaly man got the year off to the perfect start by holding off Richard Sterne to win the Abu Dhabi HSBC Championship by a solitary stroke to catapult himself to the top of the early Race to Dubai rankings. The victory was Lowry’s first since the 2015 Bridgestone Invitational and we have since had to cut his odds on making up part of Padraig Harrington’s Ryder Cup side that will defend the trophy in Wisconsin next year. 16/1 from 25/1 to win one of the four major championships in 2019. He is an 80/1 shot from 100/1 to put the Green Jacket on his shoulders at this year’s US Masters and 50/1 from 66/1 to win the Claret Jug when the Open Champion heads to Royal Portrush in July. 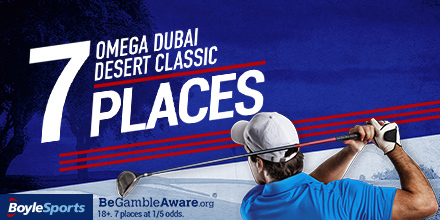 The Irishman is also in the field for this week’s Dubai desert Classic and he has been installed at 28/1 to register consecutive wins on the European Tour for the first time in his career.